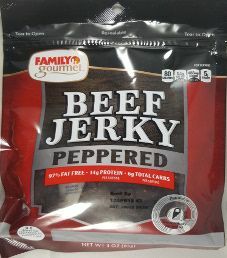 The first review for Family Gourmet will focus on a 3 ounce/85 gram bag of their peppered beef jerky. The bag was purchased at a Family Dollar store in Lewiston, New York. 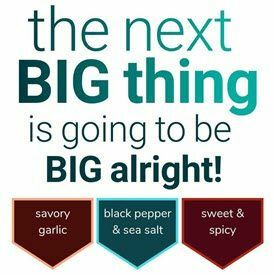 Sophia's Survival Food - Gluten/soy free 100% grass-fed beef jerky.